Migrating legacy systems, applications and databases can be a complex and trouble-fraught process. STS has the proven experience and expertise to smoothly manage your enterprise’s migration requirements. STS adopt right tools, methodologies and templates to create functionally rich systems for meeting existing and future business demands. 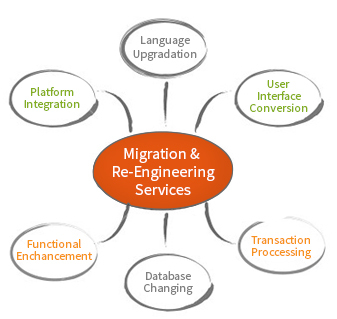 Eased complexities and optimally quick migration and Re-Engineering of critical business applications.